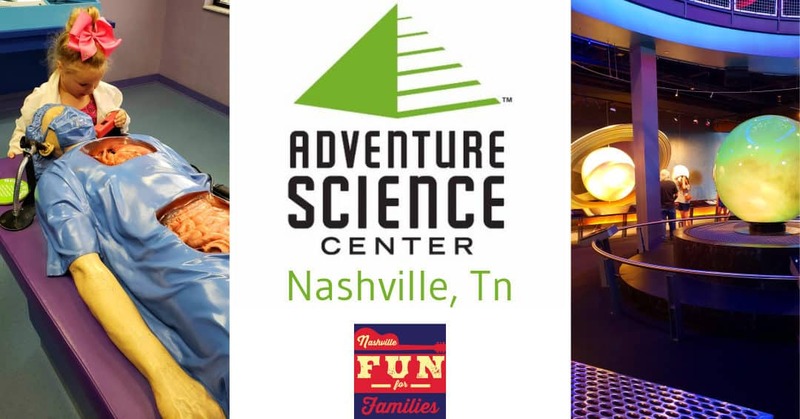 The Adventure Science Center in Nashville is a three and a half story building filled with fun for all members of the family. The Center has five main exhibits, Space Chase, Body Quest, Bluemax, Adventure Tower and Mission Possible. There is also an exhibit hall that changes periodically. Last but not least is the Sudekum Planetarium which has various shows that change with the day of the week so be sure to check the Planetarium show times before heading out. Taking each of the main exhibit areas in turn starting with the main hall and the Adventure Tower you will find a massive three and half story climbing frame. 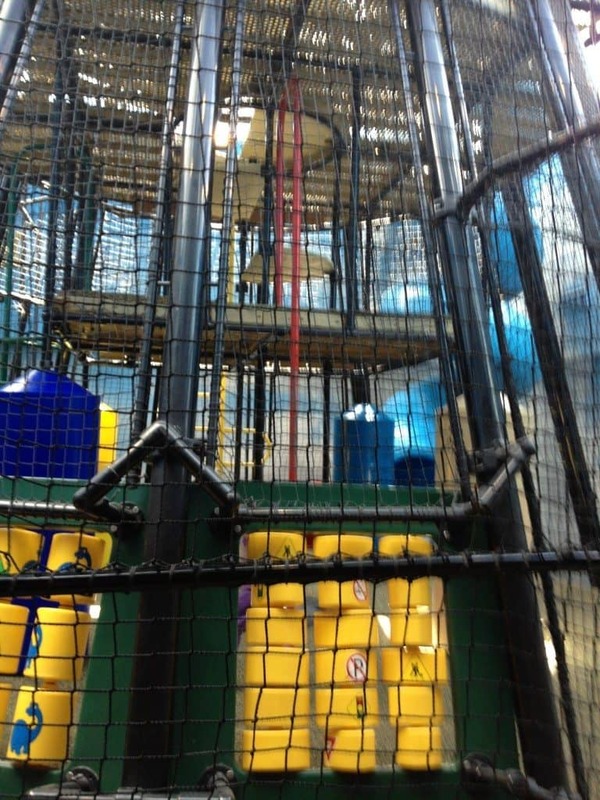 Everything about the tower is designed to be fun for the family and educational all at the same time. 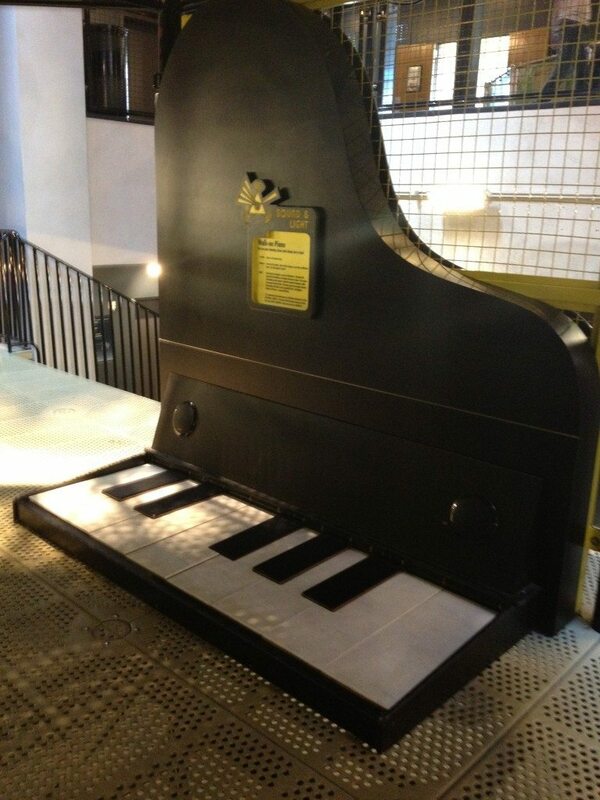 To name just a few things, there is the small foot powered music keyboard, the climb in guitar, climbing frames, tunnels, slides and for those not wanting to brave the smaller climbing frames, narrow staircases in the climbing frame that will get you to the third floor. If you are really not the adventurous type, there is an elevator as well on the right hand side as you enter the main exhibit hall. To reach the top you will need to bend and twist in what can be a fairly humorous affair. 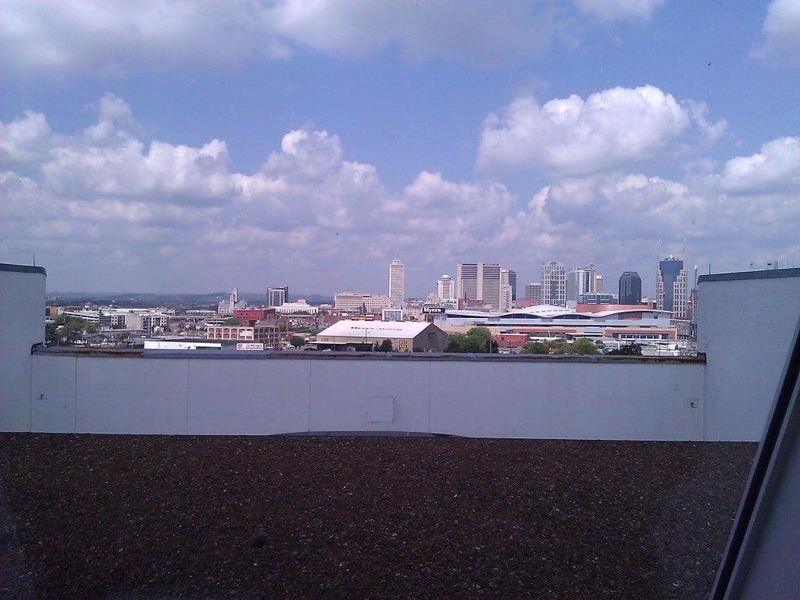 The very top of the building includes a dome you can look out at downtown Nashville. There is even a free pair of binoculars for a better view. 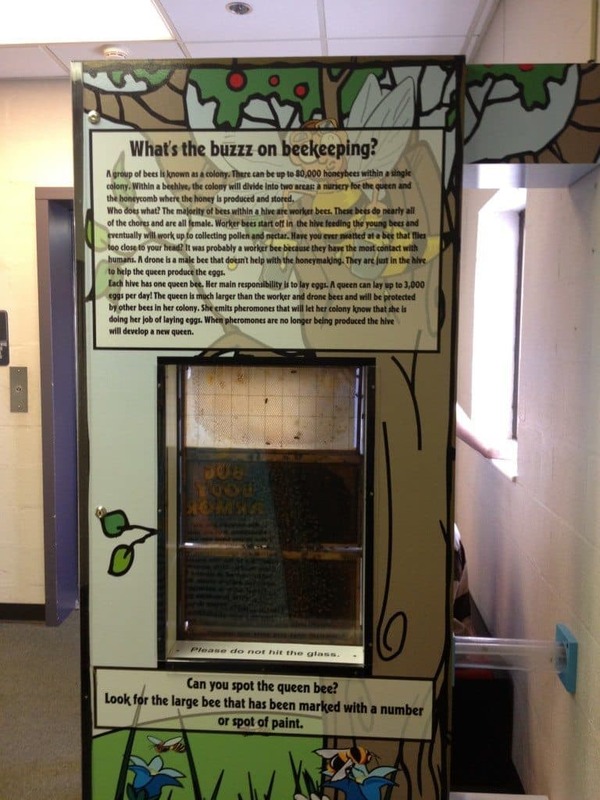 And just in case you don’t use the elevator, be sure to check out the Bee Hive located around the corner from the Adventure Tower on the third floor. Body Quest covers 9,000 square feet and as the name suggests is all about the human body, in a great family fun setting. This is not your stuffy traditional museum exhibit. 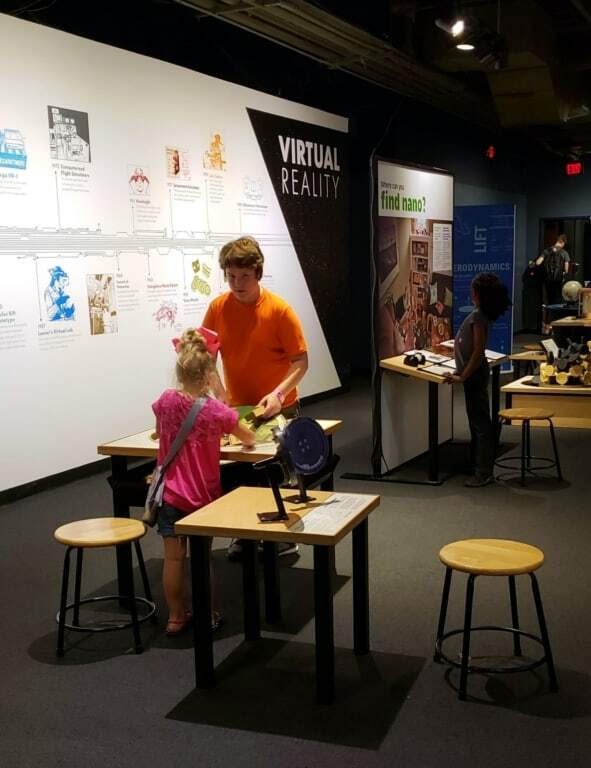 This is an area to explore and interact with the exhibits. Our favorite by far is the water table. Even the adult in me calls it a water table rather than what it is designed to represent, the pumping of blood and its contents around the body. Sounds a little off putting when put like that, hence water table. It’s fun for all ages as you get to build dams, direct water, block channels and float balls from the top to the bottom and see how it interacts with the path you created. There are lots of other items to see and explore including the brain challenge game where two people control a ball with their minds. Another big hit with my kiddos is the germs vs. healthy habits laser shooting game! The toddler/preschool space has recently been updated and it’s pretty fantastic! There’s a train for little ones to climb in, tables with magnatiles, block tables, a picture bookshelf and lots more! 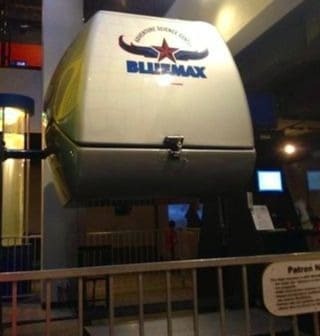 Blue Max is a flight simulator for two people. It looks very similar to other indoor flight simulators you have probably seen at similar attractions. The Nano exhibit is the smallest exhibit at the Adventure Science Center, but still lots of fun. Kids can learn about the micro building blocks that matter is made of and interact with those nano sized bits in a big way! On the second floor near the Planetarium there is a multi-player multimedia game about the Universe. This area also doubles as a stage for live science experiments. There are also live science demonstrations going on throughout the Center, at various times of the day. Just listen for the Sci-Bites announcement over the speaker system and head to where they tell you. 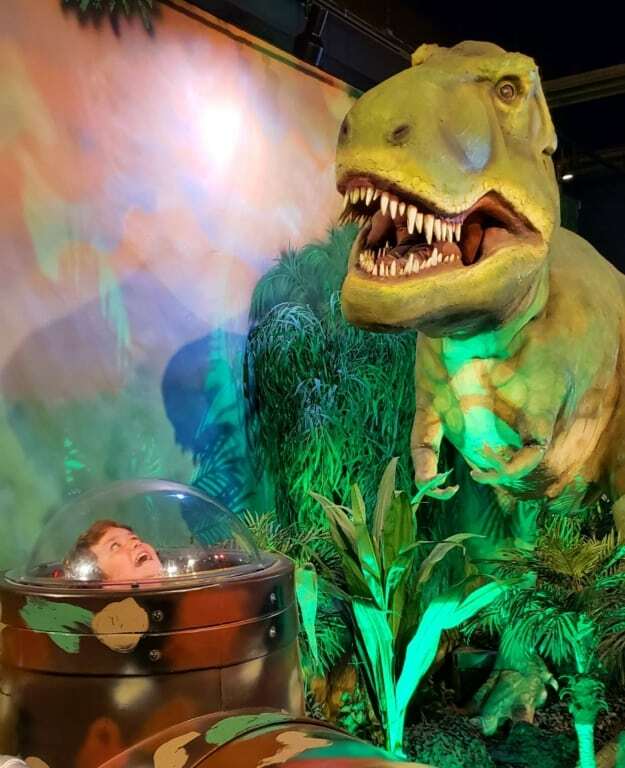 Space Chase is all about the simulated moonwalk experience, however if that is all you do while you are there, you will miss out on a number of other family fun interactive exhibits. So by all means gear up and go for reduced weight stroll but remember to check out the “Star room”, the space trivia game on the second floor, and various machines that will launch things into the air. As mentioned earlier this is also where you will find the Sudekum Planetarium. 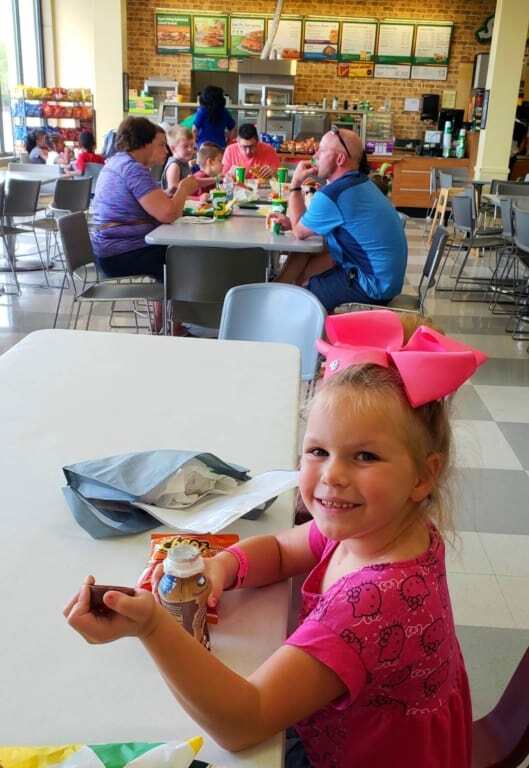 In the event you and the family are hungry while visiting the Adventure Science Center, there is a full Subway restaurant on the second floor and the prices are very similar if not the same as a non-attraction based location. Not to mention that you get to gaze out of the floor to ceiling windows at the beautiful Nashville skyline while you eat! The catch, and there are two, you have to get little ones past the roaring dinosaur exhibit and once inside, you have to consume the food in the restaurant. You cannot bring food or drink back into the exhibit halls. You can bring snacks from home to enjoy as well. If you prefer you can leave the center to find food elsewhere, be sure to get hand-stamps for everyone in your party, and then return to continue your family fun.